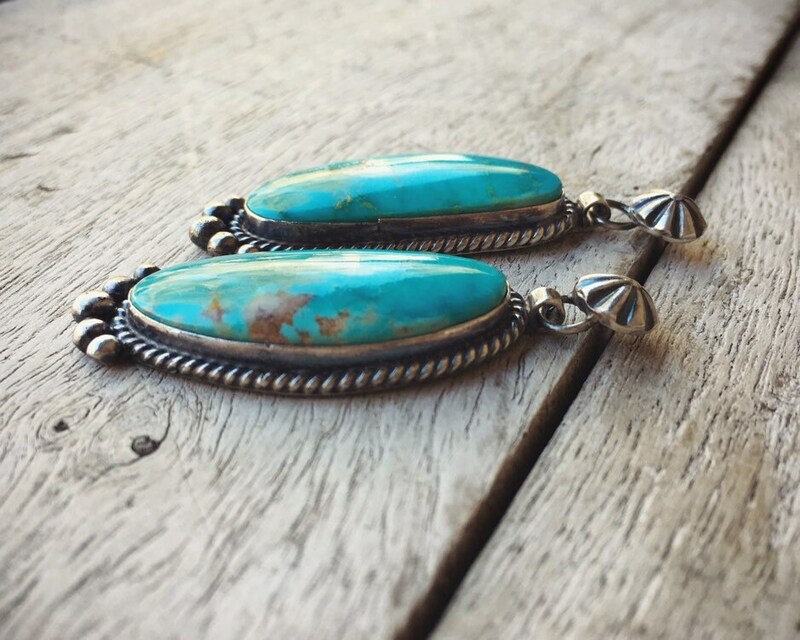 Like many other pieces of jewelry in my shop, these earrings stand out for the beautiful hues of turquoise, in this case a vibrant and at times creamy blue that we've come to associate with the word. 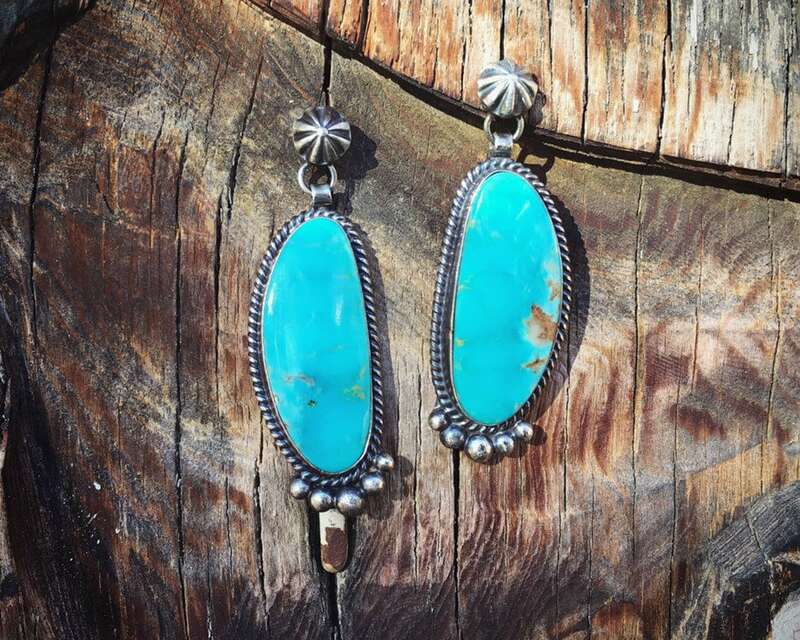 They carry the last name of a well-known Navajo silversmith family, Denetdale. 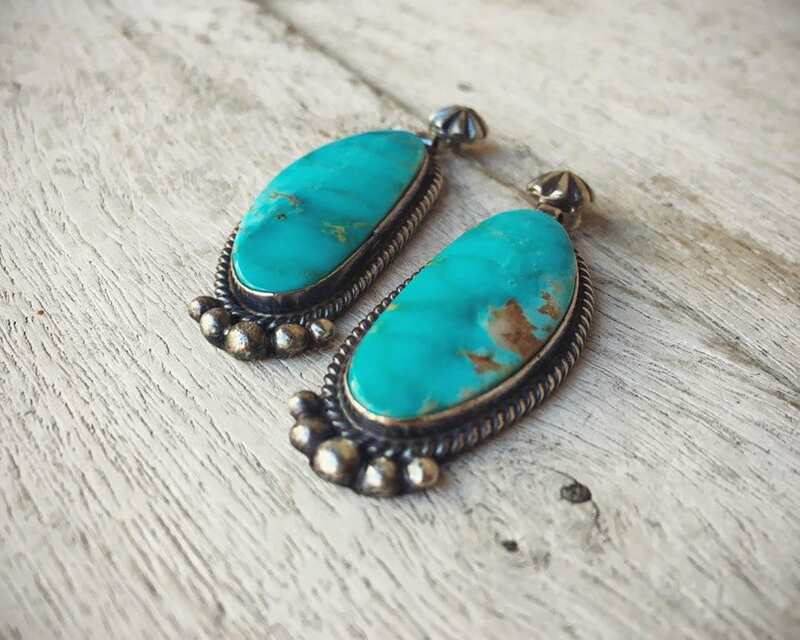 The earrings are large enough to be seen, even with longer hair. 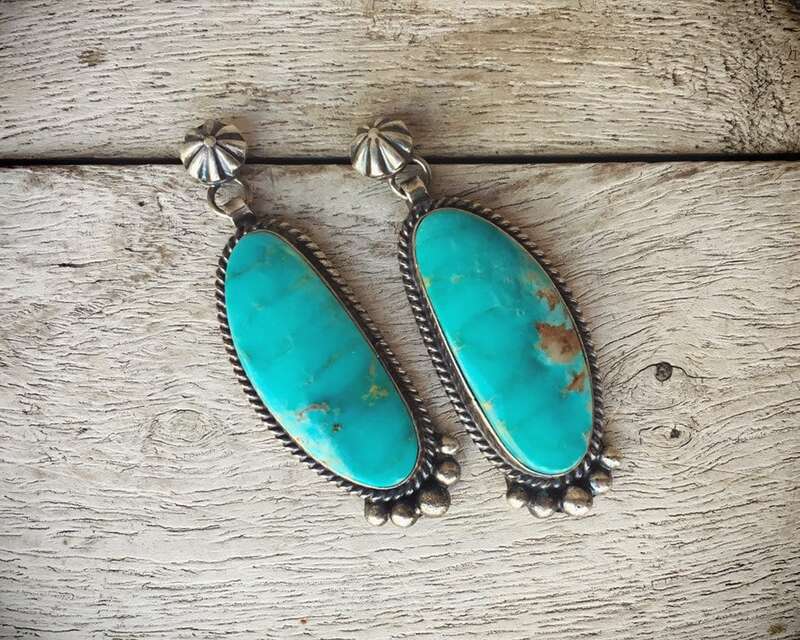 Yet they're also traditional in style and perfect for the person who likes a classic Southwestern look. 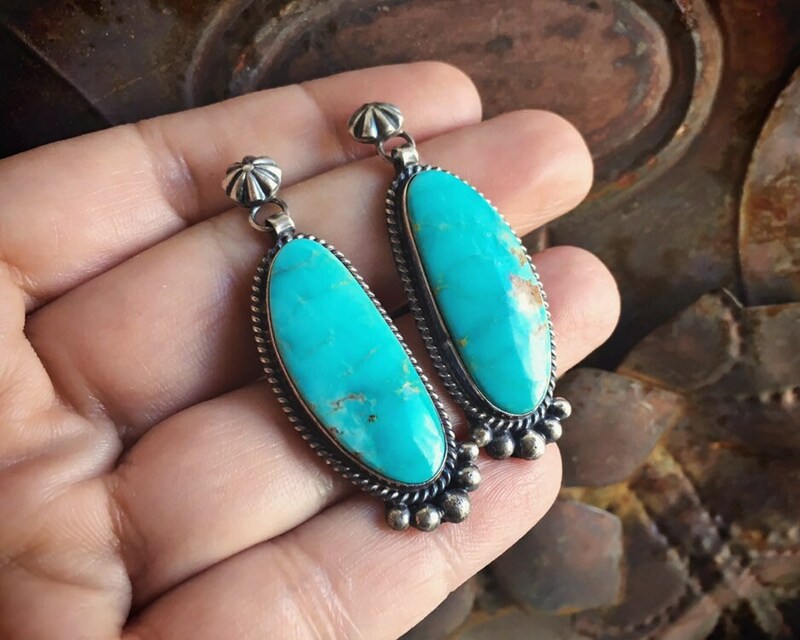 Each earring measures about 3/4" across at the widest point by just under 2" tall including the small concho starburst post. 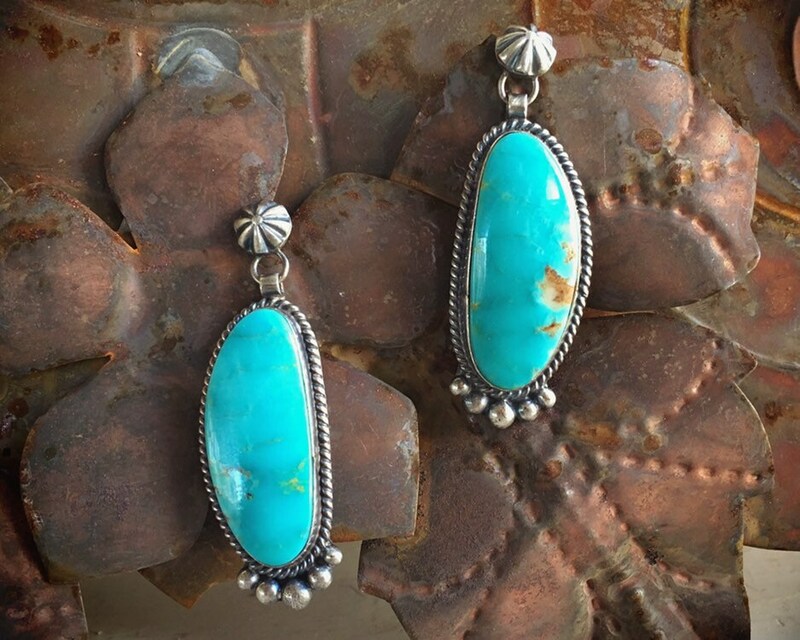 The turquoise cabochon is closer to 1/2" wide by 1-3/8" long. 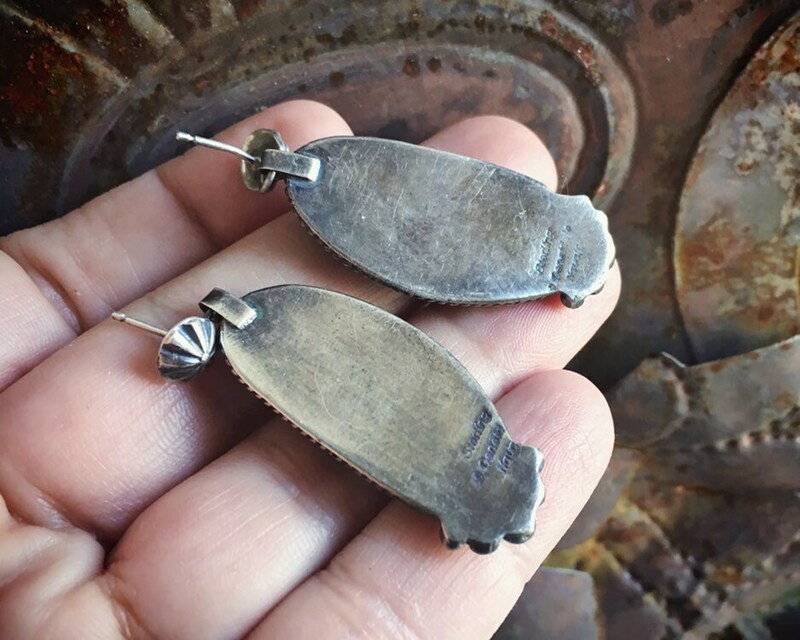 Back of silver has some tarnish, but otherwise in good condition. 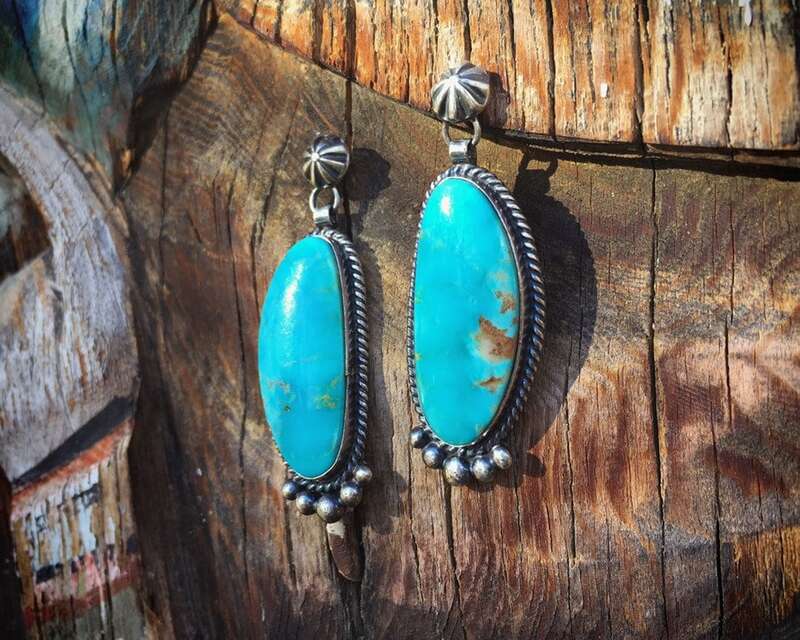 A gorgeous gift for someone seeking traditional turquoise earrings. I LOVE this shop! Another great find from Roma. Thank you!